The GalvanoTest 2000 & 3000 is a coating thickness gauge based on the Coulometric principle (anodic dissolution) and will work on virtually all kinds of electroplated single or multi-layer coatings (chromiumm, nickel, cadmium, copper, brass, silver, gold, tin, zinc) on metals or non-metals. 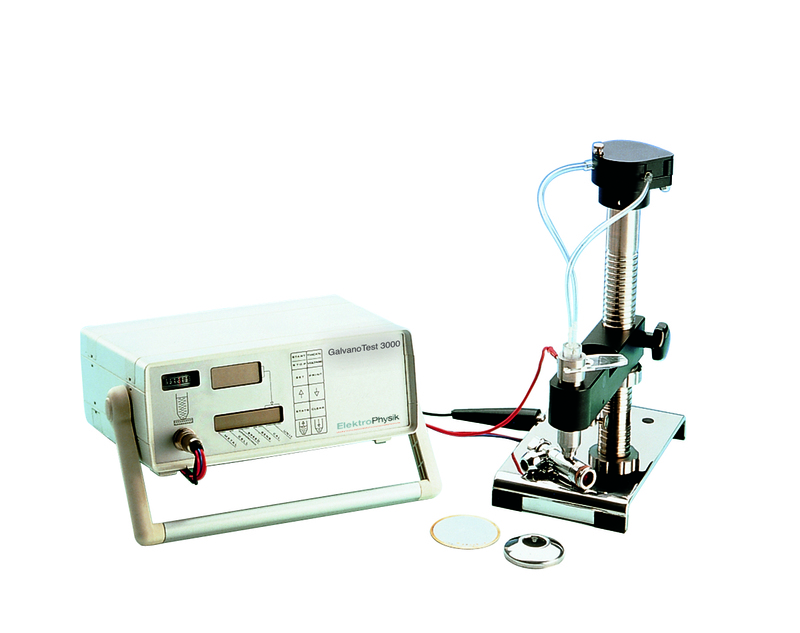 GalvanoTest 3000: large electrolyte volumes moved by a circulation pump enables quick serial measurements. 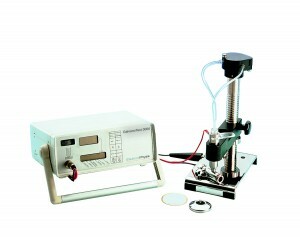 This instrument is particularly suitable for use on very small parts and to measure gold layers. Measuring range: 50 nm – 75 µm / 0.002 – 3 mils.